Beth Haldane, SE21's premier - and only - single mum amateur sleuth, is really pleased to find a new friend at the school gates, in the shape of irrepressibly bouncy Nina. As well as a way with words, Nina has a puzzle she wants Beth to solve, centred on the solicitor's office where Nina works in Herne Hill. But as the mystery thickens, threatening to drag in not just Nina and her boss, but the yummy mummies of Dulwich, too, Beth is about to find out just how far some people will go to keep up appearances. 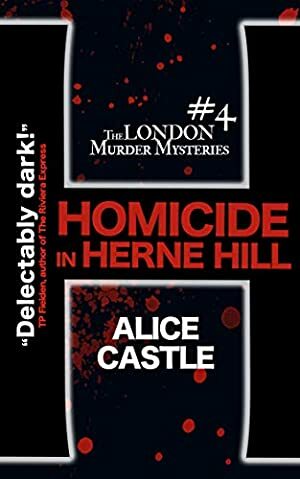 Join Beth in this fourth instalment in the London Murder Mystery series for her toughest case yet. We started tracking this book on August 22, 2018. The price of this book has changed 2 times in the past 240 days. The lowest price to date was $0.99 last reached on October 30, 2018. The highest price to date was $2.99 last reached on November 3, 2018.